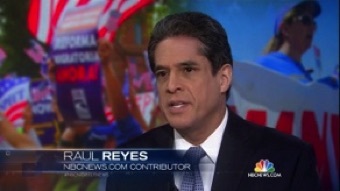 RAUL A. REYES has contributed to multiple platforms across NBCUniversal, including NBC Nightly News, NBCNews.com, NBC Entertainment, NBC News Think, The TODAY Show, MSNBC, MSNBC.com, NBCLatino.com, and NBC4 New York. 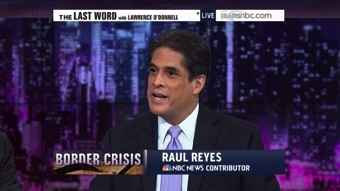 Reyes has appeared on MSNBC’s AM Joy, Hardball, The Last Word, All In, Weekends with Alex Witt, Thomas Roberts, Velshi & Ruhle, Katy Tur, The Beat with Ari Melber, First Look, and more. 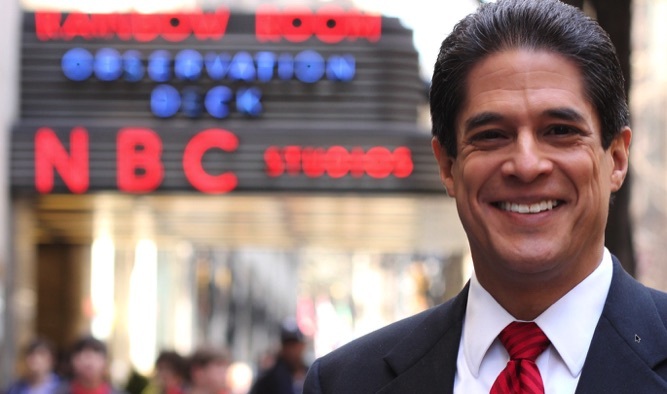 He has hosted on MSNBC Shift and Pop Latino, and participated in MSNBC’s 2012 and 2016 on-air presidential election coverage. For NBC Latino, Reyes writes on issues including immigration reform, gun control, voter suppression, and the Supreme Court. FEATURE: "Councilwoman and hotel housekeeper, Latina lawmaker redefines public service"
NEWS: "For These Latino Gold Star Families, It's Always Memorial Day"
FEATURE: "Why Our Lady of Guadalupe Is celebrated across the U.S."
FEATURE: "Remembering Gus Garcia, Mexican-American Civil Rights Pioneer"
NEWS: "The Future of the Mormon Church? It's Latino"
NEWS: "Young Latinos of the Obama White House"
NEWS: "Our Lady of Guadalupe Is a Powerful Symbol of Mexican Identity"
OPINION: "Latinos Should Oppose Supreme Court Nominee Neil Gorsuch"
ANALYSIS: "6 Ways Latino Advocacy Has Shaped Our Education Policies"
VOICES: "There's Something About Selena"